Strangely enough this cartoon appeared after his North Korea trip but again, it's pretty much applicable this week as well. The man has a unique talent for alienating friends and sucking up to enemies. 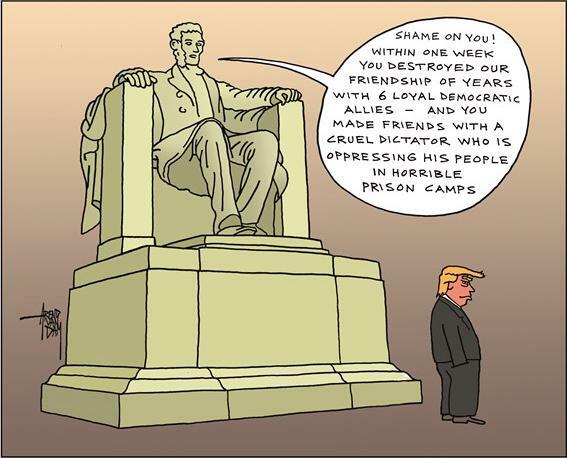 Lincoln would be appalled at what Trump is doing to the integrity of the White House.